Published: April 11, 2019 15:23 Usman Ghafoor, Special to tabloid! It is hard to tell if the secret of the timelessness of Saraiki artist Ataullah Khan Esakhelvi’s music lies in his catchy, folk-based melodies, or his ballads’ universal theme of unrequited love — or both. 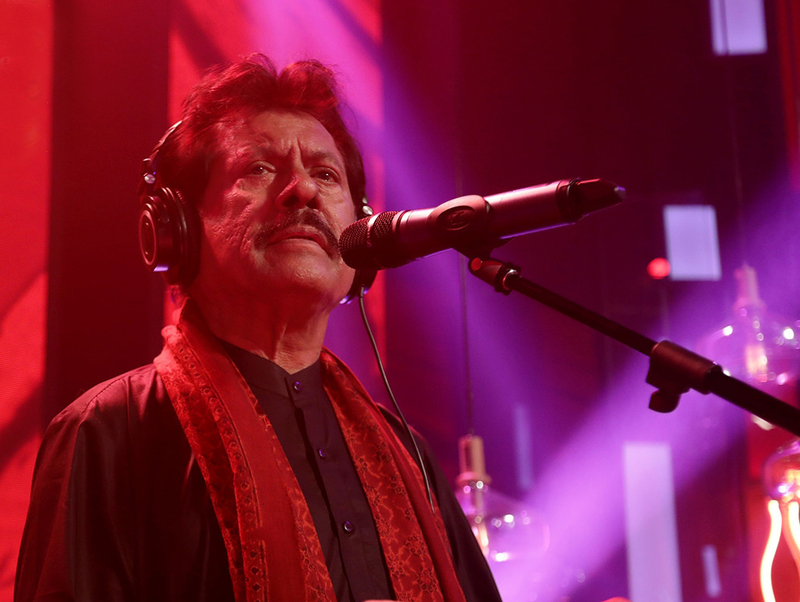 But the fact is that over four decades, since he recorded his first audio cassette, this self-taught singer from a rigid, patriarchal set-up in Mianwali, Pakistan, remains just as relevant and popular. ‘Ishq main hum tumain kya batayen,’ ‘Ae theva, mundri tha theva,’ ‘Kameez teri kaali,’ ‘Veh bol sanwal,’ and ‘Ajj kala jorra pa’ are some of his cult songs that continue to appeal to the rural masses, especially in Punjab, as well as those in other parts of the world. Esakhelvi remains wedded to his traditional musical paraphernalia — tabla (Indian percussion instrument), harmonium, flute, and dholak (Indian percussion instrument). 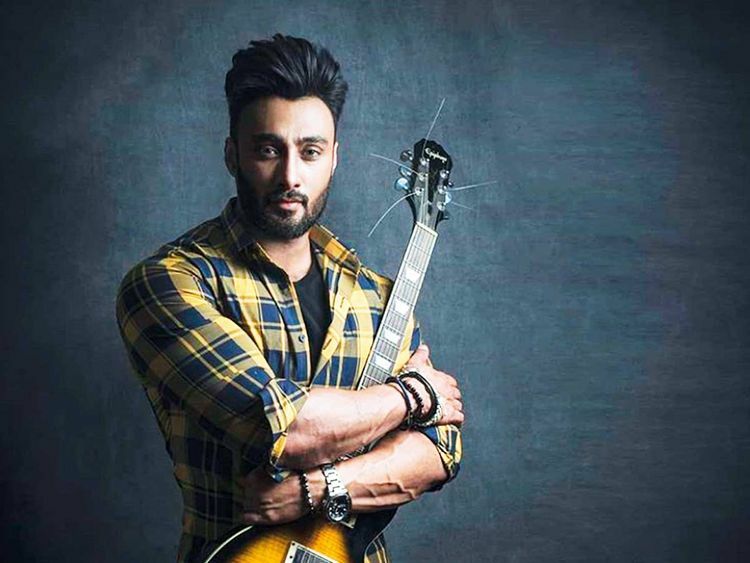 Yet, post-millennials across Pakistan know him just as well as, say, an Umair Jaswal, one of the newest musical acts; thanks primarily to platforms like ‘Coke Studio’ that have promoted fresh talent and also helped to reintroduce (the less mainstream) folk artists. Jaswal, one of the famous three siblings from Islamabad who are also associated with music and film, came up through an underground pop-rock band Qayaas that he led as a vocalist in the 2000s, before he became an overnight sensation with ‘Coke Studio’ season eight’s ‘Sammi Meri Waar’, a duet with Quratul Ain Baloch. His rugged good looks landed him an important acting assignment in the period play, ‘Mor Mahal’ (2016), and, later, in the Shaan-starrer feature film, ‘Yalghaar’. Both Esakhelvi and Jaswal are famously coming together for a concert in Dubai, titled ‘A Mystical Dream’. They will be joined by Aima Baig, perhaps the youngest female voice to have come out of Pakistan in recent times whose popularity has taken her to global arenas. 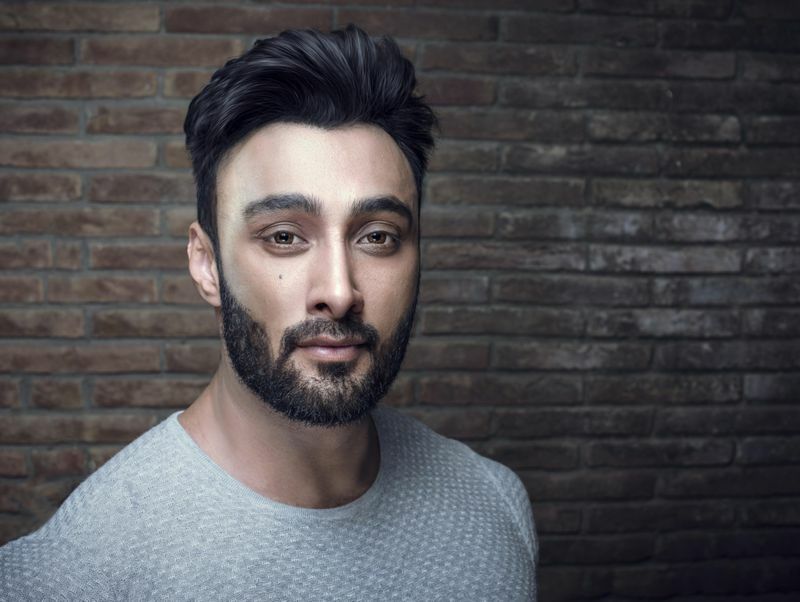 Baig’s biggest hits include ‘Malang’ (‘Coke Studio’ season 11), ‘Kalabaz Dil’ and ‘Befikriyan’ (from the movie ‘Lahore Se Aagay’, 2016), ‘Chan Veh’ (a duet with Ali Zafar, from ‘Teefa In Trouble’, 2018), and the OSTs of several TV drama serials. Ahead of their performance, tabloid! caught up with Jaswal and Esakhelvi for a chat. Q. From being the face of the underground band Qayaas, to becoming the most viewed musical act in ‘Coke Studio’s’ season eight (with ‘Sammi Meri Waar’), to being nominated in 2013 as Pakistan’s Youth Ambassador by the International Human Rights Commission, you have come a long way. Tell us briefly about your journey so far. A: I think the right way to describe my journey is that it’s been a roller coaster but also a very humbling couple of years. A musician’s path is filled with a multitude of obstacles, in this day and age especially, with the changing industry dynamics and evolved monetisation methodologies. In spite of that, I have been very lucky and blessed to have come such a long way. Along with the awards, that I am very grateful for, I gained a huge and diverse audience that spans across the globe. The phrase “music transcends boundaries” really took a deeper meaning for me when I lived these experiences. The love that people have shown my songs, and the support that they’ve given me over the years, as well as the opportunities that have come out of it all are beyond amazing. The philanthropic causes that I get to be a part of always leave me feeling deeply fulfilled and it’s because of the love and support of people around me that I was able to be a part of such noble causes and opportunities. I am deeply humbled by the journey that I have had and extremely grateful for where that’s led me. Q: You received flak for your dance moves in the ‘Sammi’ video which otherwise went on to become one of the most popular songs of its time. Tell us about it. A: The reactions that the video received were crazy in every sense of the word. I never imagined that it would go on to become the ‘talk of the town.’ But something really amazing was born out of my ‘dance moves’; upon seeing the reactions on the video and the virality of the dance, Coke Studio started an initiative called ‘Coke Studio for the Deaf’. The premise of this campaign was helping deaf kids to enjoy music and, based on how much my dance had got viral, they played ‘Sammi meri waar’ in different institutes for the deaf where they made the kids listen to the song while sitting on specialised chairs with vibratory sensors on these. The sensors enabled the kids to not only move but feel the rhythm of the song. I am beyond honoured to be a part of something so beautiful, and I am glad my dance moves did not go in vain! Q: You also had acting stints — in ‘Mor Mahal’ and ‘Yalghaar’. Tell us how ambitious are you about pursuing acting? A: Acting has been a really fun experience, and it’s something that I plan on continuing as well. The only reason I put that aside was to finish my album, something that is very dear to me. This marks my debut album as a solo artist, after Qayaas, and I wanted to completely pour myself into it. I wanted this [album] to be my voice, and I wanted to explore and express myself through it. It took me a while to find the right people to work with and to create an album that stays true to me and my musical style. I am almost done with the album and can’t wait to perform the new set list after Eid this year. Q: Your siblings — Yasir and Uzair — are also in the business of films and music. Have you ever thought of a ‘home production,’ so to say? A: Yasir and I recently collaborated on the music video for my new single, ‘Na Rahoon,’ and it was an amazing experience. He did justice to the song that’s really close to my heart, and the whole process was really fun. I am definitely looking forward to more collaboration on home front since I have more songs in the pipeline. As for Uzair, it’s strange that we haven’t collaborated in terms of singing together. I have written songs for him, though. I’m not sure when we’ll sing together but I am definitely looking forward to that, and I think it’ll be really fun and exciting when that happens! Q: Can you spill the beans on what the audiences should expect from you at the ‘Mystical Dream’ concert? A: The very first thing you need to know is that we’re doing a very different set list this time around. We’ve tweaked all of my existing songs and given them a unique spin; it’s going to sound unlike any of our set lists before, and I am sure the audience will have a lot of fun listening to it. The band has been hard at work for this performance, and we’re all set to put on an amazing show. Oh, and we’ve put in a little something special for the Dubai audience as well. I have another bit of news: we’re going to be playing some new and unreleased music from the album as well, which is something I am both nervous and excited about. Looking forward to how the crowd reacts. But all of that is to come later. For now, everyone needs to go buy their tickets; it’s going to be a fun line-up. See you guys soon! Q: We hear that you’ve been working on your new album that you intend to release this year. Care to tell us about it? Is it going to be your signature music? A: We just completed paperwork on that [album]. Insha Allah, we’ll start working on it after Ramadan. It has a mixed style — you’ll get to hear my traditional music and also a new kind. Q: You have expressly spoken of ‘justuju’ (Urdu for ‘quest’) and ‘tehreek’ (movement/motivation) that being in unrequited love put you through. A: Life is about ‘justuju’, you know. ‘Sukoon’ [peace] is death. You won’t move forward unless you have the quest to do so. And it is this quality that keeps you going toward a beautiful life ahead. I believe I am in a perpetual quest, be it about how to satisfy my listeners, or my personal life. Q: Do you think platforms like ‘Coke Studio’ have contributed to mainstreaming and popularising folk and even semi-classical artists and melodies? A: Yes, I believe Coke Studio is the sole platform in Pakistan right now that is working on music properly, the rest are doing something else. There’s no organisation or academy that would promote music. Q: Do you listen to a lot of music? Who are your favourite artists? A: I mostly listen to the artists of my time — Nusrat Fateh Ali Khan, Mehdi Hassan, Noor Jehan, Lataji, and Mukesh. They are my favourite. Q: Do you like to read (books/poetry) in your downtime? Is there anything other than music that affords you peace and calm? A: I am a big reader of books on poetry; been so since my childhood. I remember most poets’ works by heart. I still like to spend my downtime revisiting those books, or attending the flowers in the courtyard of my farm house. Q: What are your plans for the ‘Mystical Dream’ concert? A: I never pre-plan a song list for a concert. I just go there and sing, based on my assessment of my audience’s mood. I’ll sing whatever they want me to. Yes, I also hope to try and add some new things from my side. But largely, my interest is my audience’s satisfaction. Singers Attaullah Khan Esakhelvi, Aima Baig and Umair Jaswal will join forces for a concert entitled ‘A Mystical Dream’ in Dubai on April 13. Event takes place at Hard Rock Cafe, Festival City. Gates open at 7pm and tickets are available at platinumlist.net priced at Dh250 (Dh100 category is now sold out).